In the '80s, the Lakers' dazzling style of play earned their nickname, "Showtime", and five NBA titles. 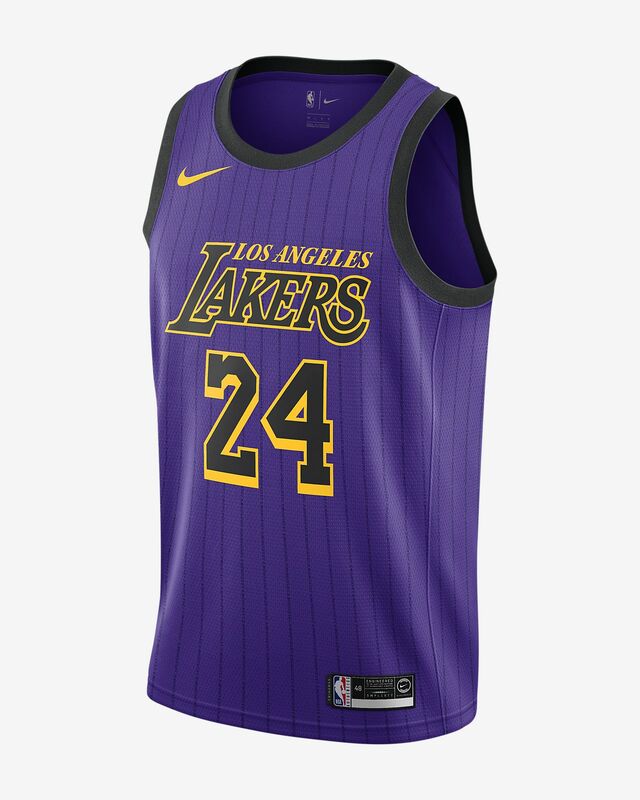 This Los Angeles Lakers City Edition Swingman Nike NBA Connected Jersey is based on the authentic jersey designed by 3-time league MVP Magic Johnson. It honours the team's glitz and glamour—on and off the court. FABRIC OF THE CITY: A MAGIC JOHNSON-DESIGNED JERSEY CELEBRATING LA&apos;S "3 TIMES, 5 TIMES, SHOWTIME" ERA. In the &apos;80s, the Lakers&apos; dazzling style of play earned their nickname, "Showtime", and five NBA titles. 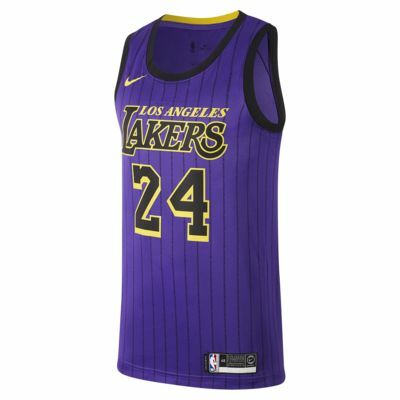 This Los Angeles Lakers City Edition Swingman Nike NBA Connected Jersey is based on the authentic jersey designed by 3-time league MVP Magic Johnson. It honours the team&apos;s glitz and glamour—on and off the court. Have your say. Be the first to review the Kobe Bryant City Edition Swingman (Los Angeles Lakers).